Philipp Kohlschreiber and Fernando Verdasco will play in the Western and Southern Open semifinal after a three-set win over Henri Kontinen and John Peers. 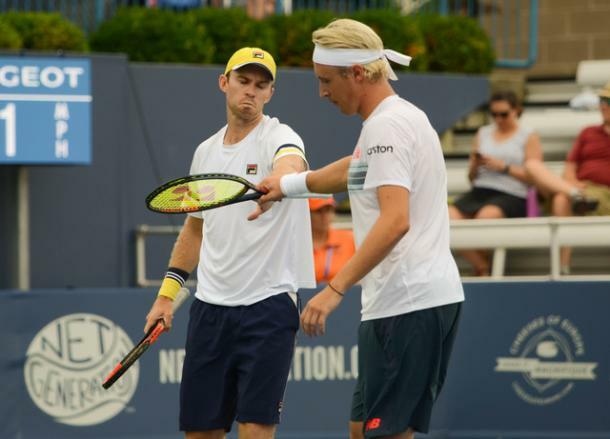 The unseeded pair of Philipp Kohlschreiber and Fernando Verdasco continued their excellent week at the Western and Southern Open by stunning the third seeds Henri Kontinen and John Peers and last week's Rogers Cup winners 2-6, 7-6(2), 10-7 to reach the semifinals. 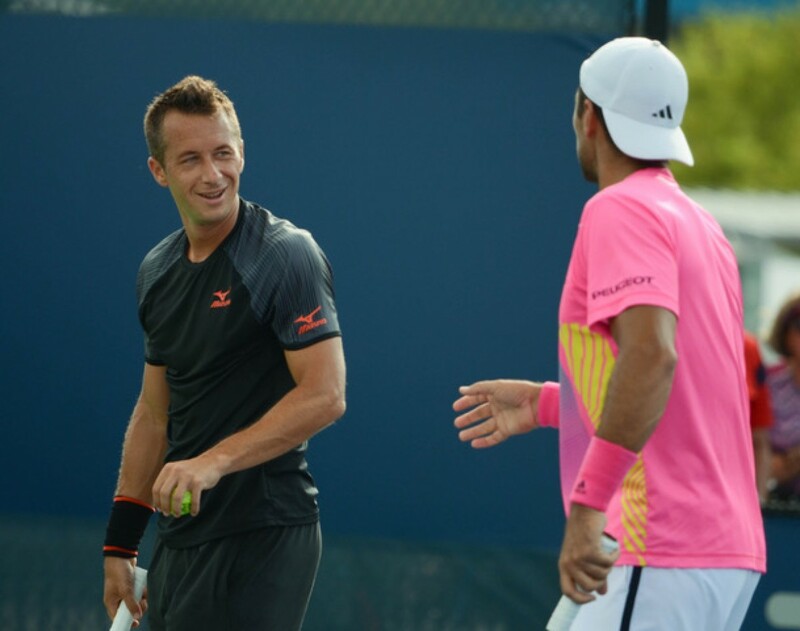 With the quarterfinals & semifinals being played on the same day due to weather conditions over the past few days, Kohlschreiber/Verdasco will play a second match, this time against Juan Sebastian Cabal and Robert Farah, who got a walkover earlier on in the day. Henri Kontinen got the quarterfinal contest underway with a solid opening service game to 15. Verdasco, on the other hand, was forced to come from 15-30 behind to also hold his opening service game to draw level at 1-1. Both Kohlschreiber and Peers confidently got through their games losing just the one point with the match locked at 2-2. However, the third seeds upped their game ahead at 2-3. Locked at 30-all on the Spaniards serve, Kontinen found the line with a forehand return leaving Verdasco stunned as two break points arose. After missing his first serve, Verdasco hit an unreturnable second serve to the Australian as they sent the game to a deciding deuce point. The Finn then found a gap and unleashed a forehand which was initially called out but a challenge deemed his favor as he and Peers broke for 2-4. 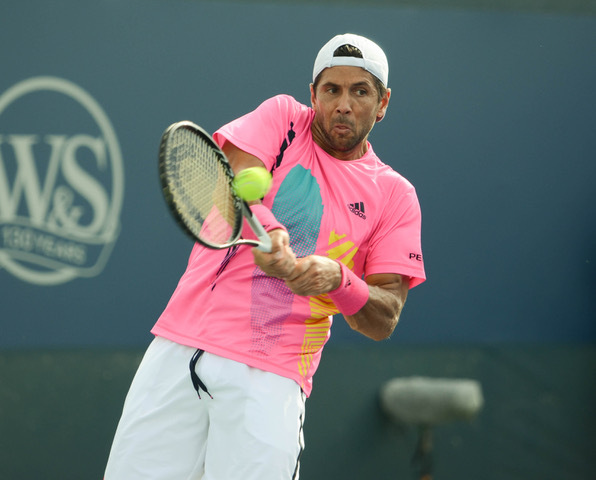 Peers consolidated the break as he and Kontinen went 2-5 up and a game away from the set. The Australian-Finn pair continued to dominate and broke once more, winning four games on the bounce to take the set 2-6. John Peers made it five games won in a row for him and Kontinen to kick off the second set. A solid unreturnable serve by the 34-year-old Spaniard stopped the rot of games lost to draw level at 1-1. Just like the opening set, the two remaining players held their services games quickly and confidently with all four players holding, 2-2. Having lost their way in the first set from five games onwards, the German-Spanish pair then seemed to have settled in this second set and went toe-to-toe with the recent Toronto champions and even had their chances in the ninth game. At 30-all, an excellent backhand crosscourt baseline return winner from Verdasco gave he and the 34-year-old German two break points. But the 2017 Australian Open champions quickly snuffed out both break point chances to edge out ahead at 4-5. The next three service games came and gone as Kohlschreiber sent the set the set to a tiebreaker. The unseeded pair took control of the breaker with the German utilizing his backhand to grab the minibreak at 3-1. He and Verdasco would break again in the eighth game before the Spaniards backhand return winner DTL sealed the set 7-6(2). The first three games of the champions tiebreak went on serve with the unseeded German-Spaniard ahead at 3-2. They then took full control of the final set by breaking the 28-year-old Finn thanks to Kohlschreiber once again utilizing his backhand to good effect for 4-2. Though he lost serve, Kontinen managed to win his second service point for 4-3. But the unseeded pair stayed further ahead by winning two points on their serve for 6-3. From that moment on, both teams remained solid on serve but with the three seeds a break down, they were facing match point at 9-7 with the German forcing Kontinen to net a return. An unreturnable German serve sealed the comeback as he and Verdasco progressed to the semifinals.